how to get a free trip? Are you looking for a Car Service to or from Boston Logan airport? We understand that transportation service can have a considerable impact on the experience you have while you are travelling. The right chauffeur service can make any trip smooth, comfortable, and stress-free. After all, a professional service is expected to meet quite a few requirements, and this is the reason we always listen to our customers’ needs in order to exceed their expectations. We are proud to say that this approach has made us stand out as a top professional Boston car service, known for our customer service and our attention to details. Unlike some of our competitors, we don’t think that affordable pricing is the only thing needed to provide you with an exceptional travel experience. We are committed to making your complete ride as enjoyable and relaxing as possible through a truly high-quality car service. Therefore, in addition to offering affordable rates for all types of airport transportation service, regardless of whether you choose a luxurious SUV or a sedan, we go the extra mile to offer much more. Call us at 844-243-5255 and GET A FREE TRIP! We understand that your time is precious while you are travelling. If you are leaving on a flight, meeting someone, or attending a business meeting, it is essential that you arrive in a timely manner. For this reason, we make sure that you never have to wait when you arrive at the airport or when we pick you up. Our teem guarantee that your driver will arrive early to pick you up, so are never running late. Our chauffeurs also work hard to drive you to your destination efficiently. As one of the most experienced professional car services in Boston, MA we are aware of when traffic in Boston hits peak levels and can plan around traffic delays. This means that we will always arrive to pick you up on time, regardless of traffic levels, and we can advise you about exactly when you need to leave in order to reach your destination by your intended time. 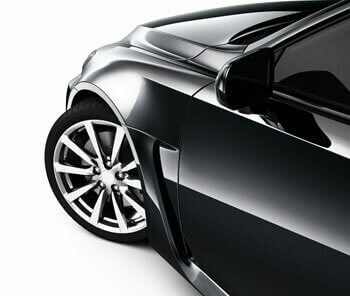 As a professional car service, timeliness is a core part of our business. Your chauffeur is an essential part of your travelling experience. We believe that it’s important to make sure that the chauffeurs driving the vehicles are professional as well as experienced. For this reason, we only hire chauffeurs who have years of professional experience and the right professional manner. Our chauffeurs’ experience really comes into play when you need to reach somewhere quickly in the city. After years of driving, our chauffeurs are intimately familiar with Boston’s neighborhoods. They know the fastest routes through the city and can easily find an alternative route in the event of construction, traffic, or an accident. This enables them to get you to your destination quickly, safely, and comfortably. Each of our chauffeurs passes a series of tests. The first is a thorough background test because your safety is our top priority. They must also take a range of tests to demonstrate their skill in driving and their knowledge of the area. These tests ensure that each of our drivers is more than capable of serving you well. Our drivers are particularly familiar with Boston and with the trip to and from the Boston Logan Airport Our chauffeurs frequently drive customers between Boston and the airport, making that trip an absolute breeze. However, they are also experienced when it comes to the other areas of New England, including Massachusetts, New Hampshire, Rhode Island, Connecticut, and New York City. We know how important it is to offer affordable rates to our customers. However, at the same time, we don’t believe in compromising the quality of our service in the slightest to offer such low rates. Some of our competitors may decrease quality in order to keep their profits high while maintaining competitive prices. We are committed to the highest quality, even when it means smaller profit margins. We know that our exceptional customer service and high customer loyalty may more than make up for the lower profit numbers in the long run. This makes us a highly affordable Boston car service, and transportation service for all airports in New England. So the next time you need to hire a chauffeured car service in New England area, you know who to look forward to! When you are travelling, whether for business or for pleasure, you want to eliminate as much stress as possible. We make it our goal to make your ride as smooth as possible so that you can have a break from travel stress. When you entrust us with your business, you never have to worry about being late. Other details, such as a comfortable interior and professional driver, help to make your trip restful and relaxing. The vehicle environment can be customized to match your preferences. Your chauffeur will be happy to play music or the news channel of your choice. If you prefer, your chauffer can keep your car quiet, making it the perfect place to make a business call or take a short nap. When all the details line up, you’ll find that travelling can actually help to ease your stress, rather than increase it. The Boston Logan Airport tends to be one of the most crowded and busy airports in all of the surrounding area. This can make travelling to and from the airport a hectic experience, particularly when you take Boston traffic into account. This traffic is one of the biggest reasons we see so many people miss their flights or rush to check in on time. We are aware of all these challenges, and we know how long a trip to the airport will take from any Boston location at any time of the day. This enables us to plan carefully to make sure you have plenty of time to get to your flight, even if we run into traffic. We have taken every step possible to make sure you arrive on time and relaxed. All you have to do is step into our gleaming luxury sedan or SUV, and leave all the worries to our experienced chauffeurs, who make sure that you never miss a flight, and always reach at your destination in plenty of time. We never hesitate to go the extra mile to bring a smile to your face, a sign for us of your satisfaction. Usually, one of the biggest hassles involved while dealing with a Boston car service is that the communication is very annoying throughout. You may have to contact the company’s executives multiple times to discuss small details, as you may not be provided with your chauffeur’s direct contact number. This can lead to doubt that your chauffeur will be familiar with all of your requests. This poor communication may also lead to a lot of confusion, and it tends to be one of the major reasons for delays and an unsatisfactory experience. However, we are aware of these problems, and we don’t make the mistake of not providing you with the direct contact number of our chauffeurs. We find that providing you with this direct contact information makes everything considerably smoother and convenient for you. Instead of working through a middle man, you can speak directly with the chauffeur who will be driving you and contact him at any time with questions or requests. Our customers who are arriving at Boston Logan airport are particularly appreciative of this direct communication. As soon as you land, direct contact with your driver ensures that you can quickly and easily find your chauffeur and be on your way. Our Boston car service is designed to meet all your travel needs. Although we are based in Boston, we also serve our customers as a Logan Airport car service, and we provide transportation to many areas around New England. Whether you need to take a short trip through the city or a longer journey to a different New England state, we would be glad to serve you. Our car service to Boston Logan airport, and the surrounding areas is also believed to be one of the most affordable services available, simply because we are looking to make a mark as well as to raise the bar in the industry. All we ask you to do is just give us a try. If you have used other car services in the past, you will experience a difference in our service and may never want to go back. If you are using a professional car service for the first time, you will not want to try any other ones. © Logan Transportation Group, 2015. All rights reserved.